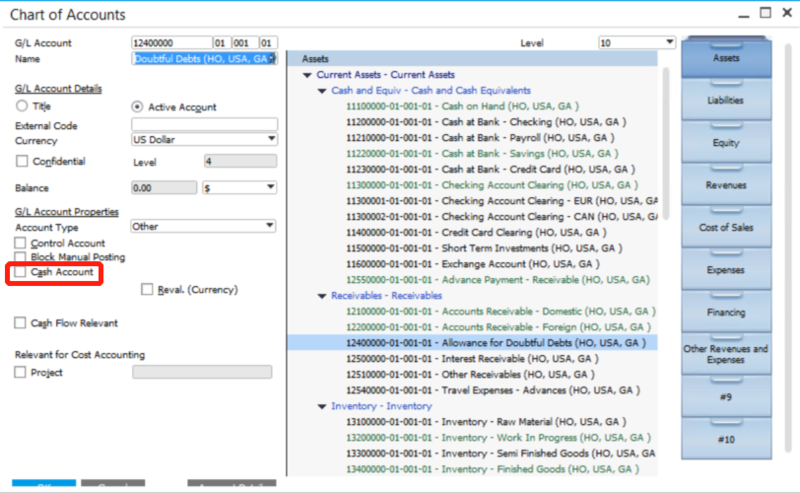 In SAP Business One, users can use a cash account or a non-cash account for a cash transaction. This function is convenient for some special situations, but it also confuses users in bookkeeping sometimes if the user inputs it by mistake. 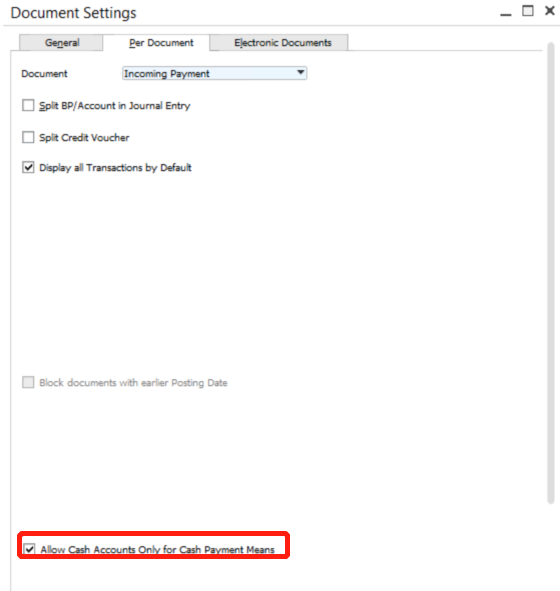 To avoid this situation, SAP Business One offers a choice “Allow Cash Accounts Only for Cash Payment Means.” You can find it under Administration > System Initialization > Document Settings > Per Document and choose Incoming/Outgoing Payment by needs. Here users can only choose cash account if the payment means is cash. 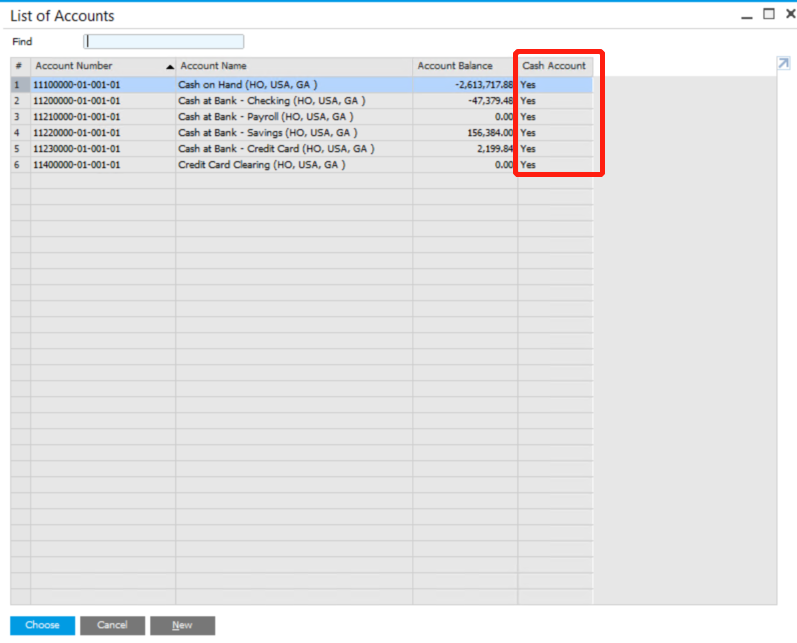 Usually a cash account is set when setting up chart of accounts, but in case sometimes an account needs to be changed into a cash account or users decide to add a new cash account, users are always allowed to change the account into a cash account in the Chart of Accounts. If you are interested in send documents and reports daily in the system, please visit Email Report in SAP Business One.